It would be easy to write a list of the wonderful properties that are available in Italy, but the reality is that without the Italian people, the country would be empty. The reason for looking for property in Italy is the combination of the houses and apartments that are on sale and the chance to live among such a vibrant, enthusiastic and energetic people. Some 25 or 30 years ago, there was just a trickle of Britons looking for properties in Italy. Today, that trickle has turned into a torrent. Ask any of those people why they moved to Italy and they’ll all tell you the same thing – the Italian lifestyle. Maybe Italy comes down to just one word – choice. It’s a ‘live as you want’ society, with tolerance being an important word to describe how people live. But there’s no way of knowing without giving it a try. Italian property prices have risen in recent years – it’s no use denying an obvious fact – but, in comparison to other countries, Italy remains pretty good value, especially in rural areas. Of course, anyone looking for a property overlooking the Piazza San Marco in the heart of Venice had better have a pretty deep purse. But for those prepared to look a bit further afield, to areas that don’t have the estate agent’s five-star rating, it’s still possible to find a lovely home surrounded by towns redolent of history and romance. 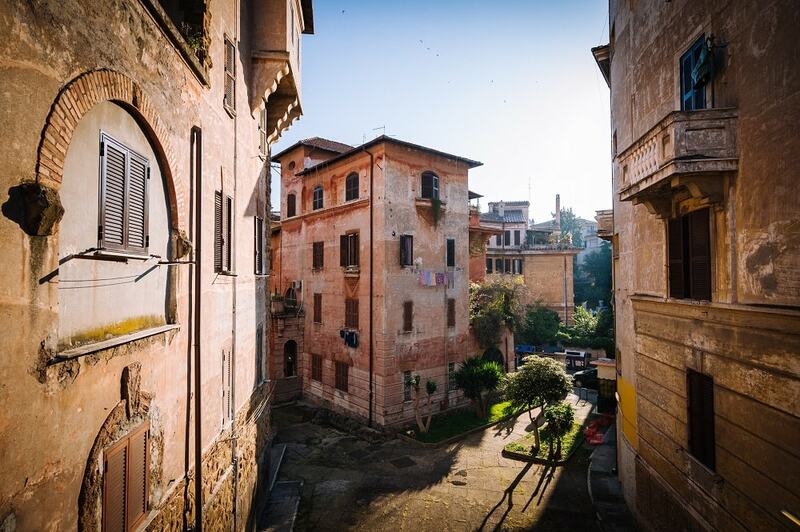 As the low-cost airlines have spread their wings across greater parts of Europe than ever before, so new areas of Italy are opening up to the overseas property buyer, and allowing a greater range of properties to make their way to the market. Calabria has seen a huge increase in visitor numbers since cheap international travel arrived in the region. In addition, there are now a selection of new-build apartment developments appearing along the coast, which afford buyers access to the great climate and relaxed atmosphere of the southern Italy, as well as the cuisine and warmth of the locals. Property prices here have been significantly lower than you would find both elsewhere in Italy and for an equivalent property in other developed markets. However, prices are rising quickly as investors rush to get the best properties and rent them out to the holidaymakers now coming to the beaches. One bedroom properties on the new beachfront developments can still be found for under £50,000, but this is unlikely to last long. For sea view villas you can expect to pay from £150,000. This is an area that lies between the Apennine Mountains and the Adriatic, and although it’s had some degree of attention from the media and property buyers in the last couple of years, it’s managed to avoid the ravages of vast amounts of tourism. The Adriatic has attracted its fair share of visitors, but they haven’t gone inland in any great numbers. Compared with many other areas of Italy, time seems to have passed parts of Le Marche by, leaving many beautiful homes in its wake. The main cities in the region are Urbino, Ancona, Ascoli Piceno and Pesaro, which has its toes in the sea. This means wonderful seafood, a bustling fishing port, good shopping, and, along the way, some superb architectural remains. Property prices in this part of Italy are still lower than other areas, and it’s certainly possible to find a lovely country property for €250,000 (£198,000).